ETH/BTC going down as BTC/USD at all-time-highsteemCreated with Sketch. 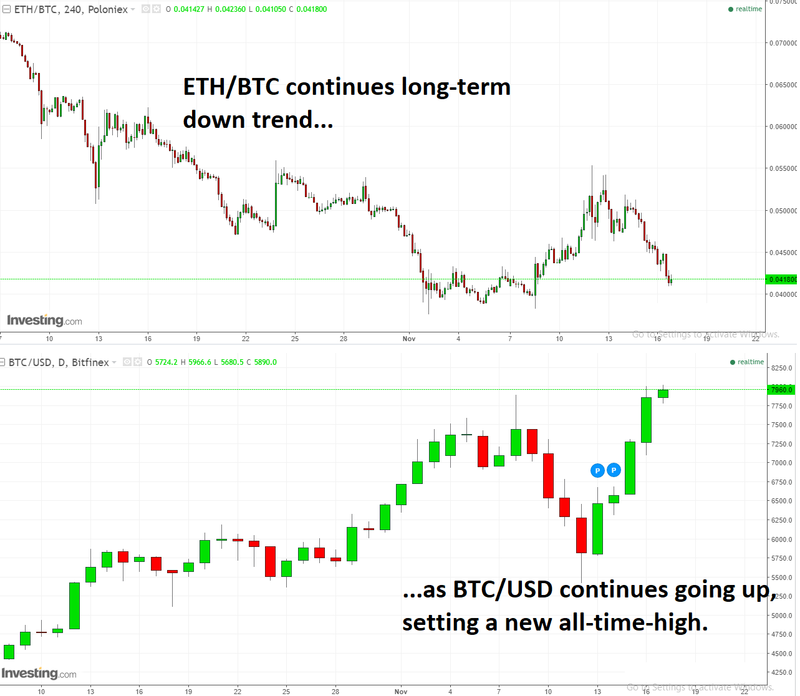 ETH/BTC had a nice rally between Nov 8 and Nov 13... Unfortunately, it is now continuing its longer-term down trend. This is at the same time as BTC/USD is moving higher, and is now at all-time-high. Your thoughts on ETH? Where do you think ETH/BTC will bottom? Will it be at 0.03 ETH/BTC. Will Ethereum be only worth 3% of Bitcoin?